This is definitely going to be a different experience. It´s going to take a little time to get used to this assignment. We don't have a set schedule, and to be completely honest my studies have suffered a little bit this week, as I've come to realize that if I don't make time for my studies, they don't happen. We are still swamped in office work. As this is still a new mission, there are a lot of things that need to be set up, and especially since we're finishing up the first year, we have to have everything prepared for the first audit of the mission so that we can use that as a base to set the budget for the mission in the coming years. We are meeting with Presidente Perez and his wife weekly, and sometimes more, to continue reviewing the finances and making sure that we have all of the correct policies in place. Hermana Perez is super helpful, because before the mission she did a lot of accounting, so she knows what she is doing. Presidente up until now hasn't been able to be in the office very much, as he's had to travel a lot finding new pensions, getting to know the mission and the members, meeting all the missionaries, etc., and because there are three districts in the mission as well, which are under his direction. But now he has more time and is in the office more, so he really wants to get a handle on the finances of the mission and get everything going smoothly again. We're hoping to get everything good as fast as possible, so that we can really get out of the office and start working. Elder Thompson has a goal to baptize three people before he goes home, so we're going to do everything possible to meet that goal. Last night, I was able to go out on divisions with Elder Blackmon to visit O*** and V***, the investigators that Elder Ramirez and I were teaching, and it was an awesome lesson. We were teaching about following the prophet, as well as the importance of families, and O*** started to ask us about the opinion of the church on gay marriage. We hadn't taught the law of chastity yet, so we started to explain how marriage between a man and a woman is ordained of God, and that the family is central to the creator's plan for the eternal destiny of His children. (Family Proclamation) He was having a little bit of a hard time accepting it, but Elder Blackmon and I both bore our testimonies, testifying that President Monson was a prophet of God and that the Church of Jesus Christ of Latter-day Saints is the one and only church directed by Jesus Christ, and the Spirit filled the room. Normally when we talk to O***, he doesn't like to talk much, and he avoids our eyes sometimes, but as I bore testimony to him, the Spirit came so strong, and O*** couldn't take his eyes off of me. 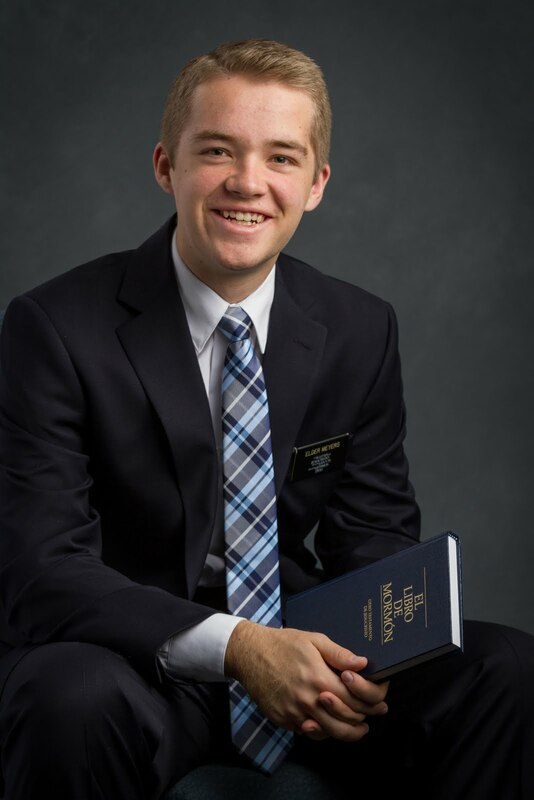 Those moments are honestly the moments when I feel the Spirit strongest in the mission, testifying and bearing witness of the Savior and of this gospel. I know that it is true, and I cannot doubt it. It is wonderful thing to be able to testify of those simple but profound truths to these people. I know that Joseph Smith was a prophet of God, and that he saw the Father and the Son, and that They called him to restore the Church of Jesus Christ to the earth. I know that Christ lives, that He is our Savior and Redeemer, that He loves us, mourns with us, walks with us, laughs with us, and rejoices with us when we live righteously. He is there in our lives. We only have to recognize it. I love the words of the primary song If the Savior Stood Beside Me: "He is always near me, though I do not see Him there, and because He loves me dearly I am in His watchful care. So I'll be the kind of person that I know I'd like to be, if I could see the Savior standing nigh, watching over me." May we always recognize the presence of the Savior in our lives!